Raymond Rudford is on trial for the murder of the wealthy uncle who adopted him as a boy following the death of his parents. The prosecution produces seemingly damning evidence, including Raymond’s own fingerprints on the razor that killed his uncle and a powerful motive: the fear that he would be disinherited if he should marry Alicia, his fiancée. She knows that Raymond is innocent; but how can she prove it? Actor-director Richard Bird, horror stalwart George Zucco and charismatic character actor Francis L. Sullivan feature in the cast of this thriller in which love and money troubles threaten to lead an innocent young sculptor to the scaffold. Based on a play by Broadway director Lillian Trimble Bradley, What Happened Then is featured in a brand-new transfer from the original film elements, in its as-exhibited aspect ratio. 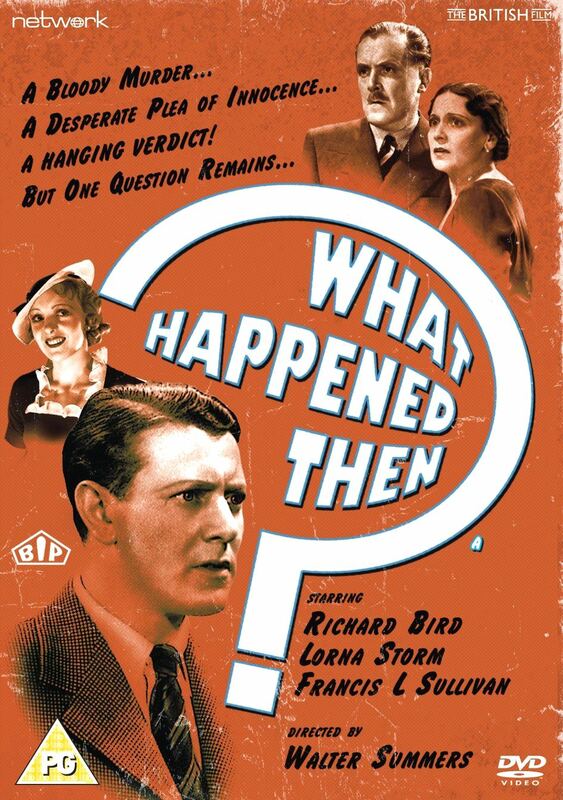 Featuring: What Happened Then? (1934).